I keep lists. While I do not believe there is a name for someone who keeps lists as there is for one who collects stamps—a philatelist, or a keeper of postcards, known as a deltiologist—I am simply a keeper of lists. One list is of names that are actually what the name says the object or geographic location is. For example, in the South Island of New Zealand, north of Queenstown, there is a range of mountains called the Remarkables. They are pristine, beautiful and truly remarkable. Another example is a swamp in northern North Carolina and Virginia called the Great Dismal Swamp, the largest remnant of a swamp habitat that once covered more than a million acres. A final example is the Trail of Tears. It was the route that the more than 16,000 Cherokees Indians took from their homelands in the southern United States to Oklahoma. It is estimated that more than a third of those Cherokee people died on the Trail of Tears. Another list I keep are names that do not signify what the name indicates, such as the Big Ten Conference in collegiate sports which has 14 teams or the Fox News Network, whose motto is “fair and balanced.”Iowa is currently undertaking a new program to turn its Medicaid program from a state government managed program of medical help for poor and disabled populations to a for-profit private managed care approach to administer the medical needs for these populations. The title of this program is the “Iowa High Quality Care Initiative.” I am holding judgment as to which list this program with the ambiguous name would more likely be appropriately added. As I have stated in previous blogs, I am pessimistic that a for-profit company is the best arbiter of health care for a dependent, vulnerable population. With an open mind, I have tried to evaluate one state currently using Medicaid Managed Care, which Iowa is using as one of its models for experimentation into Medicaid Managed Care. That state is our neighbor Kansas. To preface this discussion, I will share that after 31 years of family medicine practice, I have had patients in multiple managed care arrangements, including health maintenance organizations (HMOs) and accountable care associations (ACOs), as well as several others. As a primary care physician, I have not found any arrangement that has improved my care of the patient or decreased the cost expenditures from better management of the patient’s health conditions. This statement includes the use of an external disease management nurse often employed by health insurance companies. 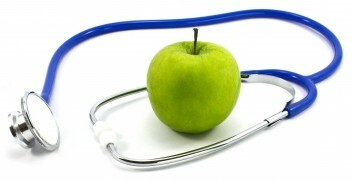 This belief was confirmed at a recent forum of health purchasers that I attended in Philadelphia. I have seen cost savings occur with the use of reduction to providers’ fees, prior authorizations, drug formularies, restriction for payment for certain diagnoses, and prescription drug tiers. Such activities have led to extra work and complications for my office and denial of care or medications for my patients—often inappropriate denials. What I have seen in my own practice to improve quality and reduce expenditure is the use of our patient-centered medical home concept, which I have discussed in previous blog posts. In Medicaid, this designation is called “health homes” and both my experience, and that of Iowa Medicaid, is that quality and cost have improved by the use of this kind of care coordination. So what do we know of Medicaid Managed Care in Kansas? KanCare’s initial Executive Summary called for the “creation of health homes, with an initial focus on individuals with a mental illness, diabetes, or both”, but the Kansas Health Institute (KHI) reported on March 6, 2015 that the Kansas “Senate Ways and Means Committee has adopted a budget proviso that’s expected to delay implementation of ‘health homes’ for KanCare patients with chronic illnesses such as mental illness, asthma, and diabetes”. This effort, from my experience, is completely counterproductive if Kansas wants to improve patient care and reduce costs. It also seems a proverbial bait and switch situation if KanCare was promised to provide patient-centered care and now that promise is being delayed or denied by the Kansas Legislature. I am sure this move is being promoted by the managed care companies. Finally, if a state turns over the medical care of vulnerable populations to private for-profit managed care companies then oversight and an adequate appeal/complaint process must be maintained by that state. In Kansas, KanCare’s patient ombudsman was a solitary employee who worked in the Kansas Department of Aging and Disability Services which is “one of the state agencies responsible for KanCare implementation” (KHI News Service, Jan.7, 2013). Thus, Iowa continues the along the road to Medicaid Managed Care with a final Request for Proposal (RFP) this spring, with solicitation of bids and awarding of bids with a start date of January 1st, 2016.
Who are the individuals on the team that wrote the original Iowa Medicaid Managed Care Request for Proposal and what are their backgrounds? What is the oversight capability of the state to oversee the activities of the managed care companies awarded contracts? Where will the Medicaid Ombudsman Office be housed and what resources will it have? The current Request for Proposal only guarantees providers’ rates for six months, is that adequate protection? Should, as Illinois Medicaid Managed Care stipulates, only state based ACOs be allowed to bid for Medicaid Managed Care? Will Medicaid Health Homes continue under Iowa Medicaid Managed Care? If Medicaid Managed Care companies lose money in the first year, what are the contingency plans if they choose to withdraw from their contracts? Given the wholesale dismantling of Iowa Medicaid Enterprise (IME) that is anticipated in the current plan, should such a dramatic and final process be forestalled with a slower roll-out of Medicaid Managed Care to ensure the feasibility of the managed care approach? Can provider’s fees for Medicaid patients, which in Iowa law are to be equal to that of Medicare, be adjusted by for-profit private Medicaid Managed Care companies without changing Iowa law? Given that this is a $4 billion set of contracts, do we suspect that managed care companies have oversold their potential as it appeared they did in Kansas and Kentucky? All of these questions pertain to my true concern for having quality medical care accessible to the poor and disabled populations of Iowa. As you can see, several questions indicate my skepticism of this approach, leading to an ultimate decision years from now about whether the name, “Iowa High Quality Care Initiative,” will be added to the list of names including the Remarkables mountain range in New Zealand or the list of names that includes the 14-team conference called the Big Ten.